Wash and soak rice and urad dal separately for 6 hours in water. Grind the urad dal to a fine paste and remove it. Then grind the rice to a smooth thick batter adding little water. Transfer rice and urad dal batter into a large bowl and keep it aside. Mix yeast and sugar in 1/4 cup warm water and allow to stand for 10 minutes. Add this yeast solution into the batter and mix well. Add salt , mix well and keep covered in a warm place to ferment for about 3-5 hours. Grease steel ramekins or idli moulds with little oil and pour the batter in each mould/ ramekin. Place these ramekins into a steamer and steam for 12-15 minutes. 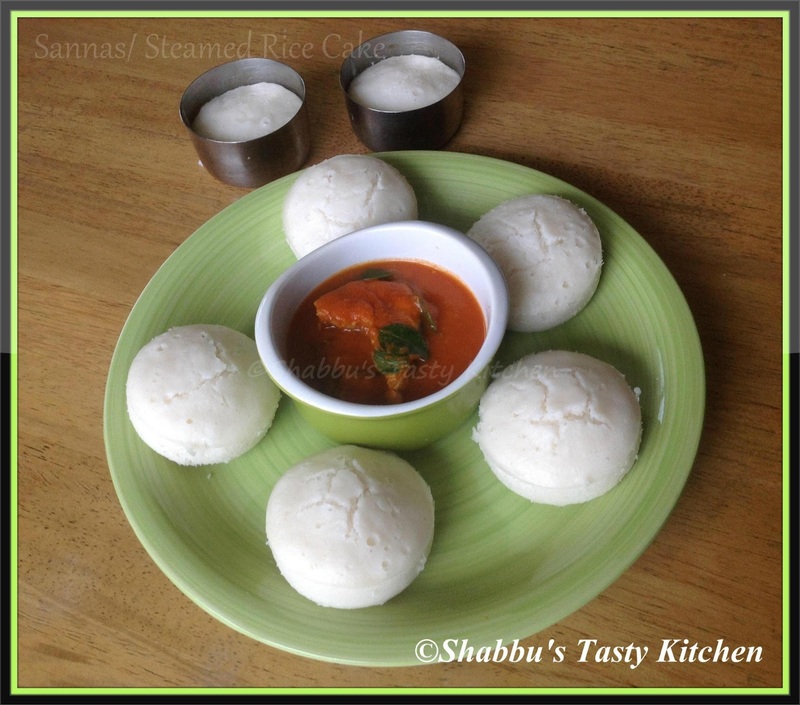 At my first look, i thought it is idlis only, then now seen, something little variation than idlis. Yummy and healthy sannas. Wow ! Looks so wonderful , soft and tasty..